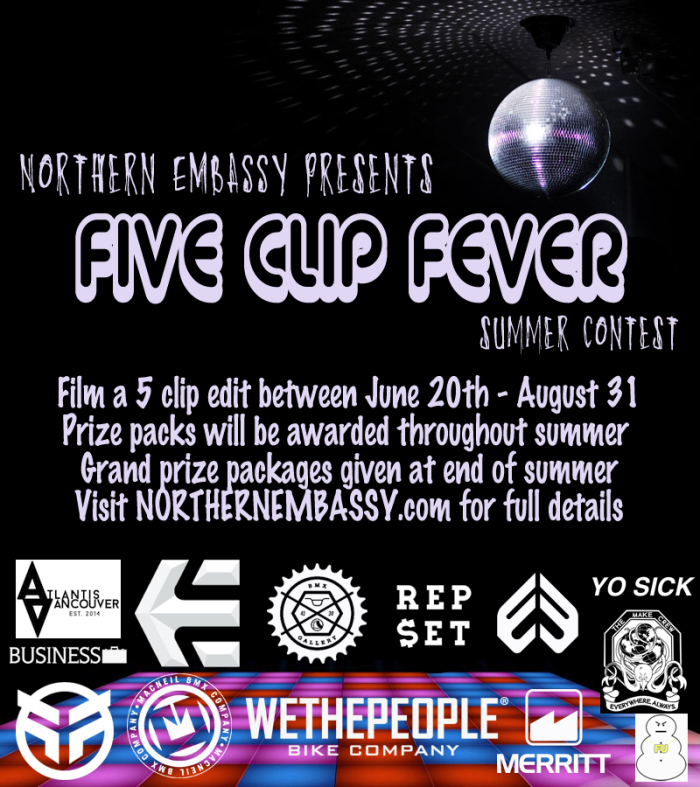 A big thank you goes out to Etnies for hooking up some shoes for our five Clip Fever prize pack. Amos Franke reps Etnies in Canada and takes you on a cruise around Vancouver. If you haven’t started filming yet, you’re slippin’! Film your own five clip for a chance to win!